Frostbite, also known as congelatio, is a cold weather injury caused by freezing of the skin and underlying tissues. 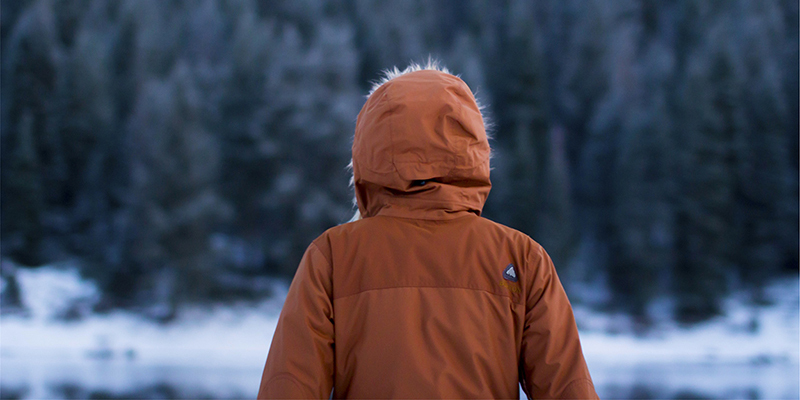 During cold, windy, wintery weather, exposed skin is most vulnerable to acquiring frostbite. The most commonly affected areas of frostbite include the fingers, toes, nose, ears, cheeks and chin. Frostbite occurs when extreme cold damages the skin and deeper tissues under the skin, leading to contraction of blood vessels, reduced blood flow and oxygen to the affected area. As the skin becomes damaged, you begin to feel odd sensations like numbness and tingling, and changes in skin colour. Depending on length of exposure and the cold temperatures, frostbite may be mild, or more severe. What are the signs and symptoms of frostbite? The first sign of frostbite will be cold skin to the touch and a prickling or tingling feeling. Next you may experience numbness, burning, itching of the affected area. You may also experience a change in skin colour to red, white, blue or a gray/yellow colour. The skin may appear waxy and feel hard. If you warm the skin too quickly after being exposed to the cold, blistering may be possible. In more severe cases, where as deeper layer of skin has been affected, the affected area may have little to none of the sensations listed above. After time frostbite can begin to limit movement, such as walk on feet that have been affected by frostbite. In extremely severe cases the affected areas of the skin will turn black/blue due to damage of the deep layers of the skin. Hypothermia may also occur along with frostbite. For further information on hypothermia click here. What are the stages of frostbite? Frostnip: This is the most mild of the stages. Your skin is pale, or red and feels cold. As time goes on you may experience numbness or prickling. As you begin to warm your skin, it may be painful. Since this is the mildest stage, skin damage is minimal. Superficial Frostbite: The skin turns from a red colour to white or pale. The skin may no longer feel cold, but warm. With rewarming of the skin, it may change from a pale to a blue or purple colour, or may blister. Deep Frostbite: This stage is the most severe and affects all the layers of the skin, and may even extend into the tissues below. You may feel numbness, or lose all sensation in the affected area. You may have difficulty moving the affected area. As time progresses, the tissue dies, and the area becomes black and hard. The first step to treating frostbite and preventing it from worsening is to get warm. Get indoors in a heated area as soon as possible. Remove any wet clothing, boots, and anything else that may limit blood flow. While inside, immerse the affected area in a warm bath. Be sure that the water is warm and not hot, since exposing frostbite directly to hot water can cause further damage. Warm areas while outside by using your body heat, like putting your hands in your armpits. Do not rub or expose the affected area to direct heat, like a fireplace, space heater, or heating pad. It is important to warm the skin slowly. The most beneficial method is to constantly keep the skin warm with blankets and a warm atmosphere. Putting very hot objects directly on or close to the affected area could damage the skin further. Keep in mind that as the skin begins to warm and turn back into its normal colouring the affected area may become quite painful. If commonly used areas of the body such as hands and feet are affected avoid use to prevent further tissue damage. If blisters form, do not break them. If there is a chance of re-exposure to cold climates, don’t thaw the frostbitten area. This makes the area more susceptible to more severe damage from frostbite. If already warmed and there is a possibility that the area will be re-exposed to the cold, be sure to wrap these areas to prevent refreezing. Depending on the severity of the frostbite, other treatments may be necessary. Be sure to see your doctor or nurse practitioner for assessment. Double up on socks – wear a moisture-trapping pair of socks under a wool/wool-blended pair. What are the complications of frostbite? Those who experience frostbite are most susceptible to acquiring it again in the future. They may also experience increased sensitivity to cold, long term numbness after the area has healed, infection, tetanus, hypothermia, and in severe cases, gangrene. When to see a medical professional? If you think your child may have frost bite, it is best to see your doctor or nurse practitioner. If severe or deep frostbite is suspected, visit your nearest emergency room right away for assessment and treatment. Have a special needs child or teen in your life? We’re looking for your feedback!